Once you consider types of threats that could fall under the 'aggressive threat' heading the list could actually be overwhelming. And it will vary by sector. Where children, pupils and students are concerned you cannot really be too cautious. Considering things like disgruntled aggressive parent(s), extreme cases where someone comes on-site with the intention of harming people, aggressive students, intoxicated people, predatory people, drug abusers, people with knives and other almost endless entries that should be considered as real threats. 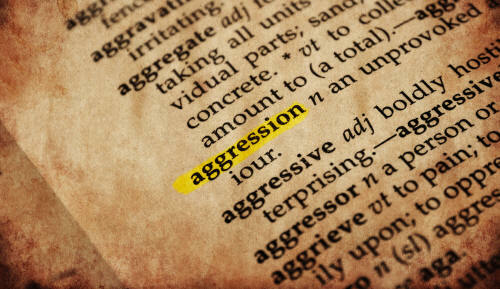 Factually, aggression can show itself in many ways but achieving a dynamic procedure to deal with these sort of threats for any school, academy or university needs to be carefully considered. Organisations like NaCTSO and NPCC are government bodies that produce good guidance notes for creating proactive and dynamic lock-down procedures for on-site application. There is also a 'run hide and call' policy that will prove useful if you are developing a new procedure or want to update the one in place. Imagine if the worst scenario above was to happen within your organisation? You have the 'right' proactive and dynamic lockdown procedures finely tuned to your exact needs of protecting lives. But way down on the agenda the underlying reliance on communications when any threat appears is essential. What happens if there is a breakdown of communication between the people in charge? The simple answer is that all of a sudden your best kept and worked plans against threats will fail. That could cost people lives, whether children, students, teachers or anyone else on-site. Understanding this fact will ensure you take measures to ensure that your communications does not turn out to be less than adequate when you need it most - in a real life threatening situation. Our company is a manufacturers office of communications equipment that can be used on-site or off-site depending on your needs. We have been making this sort of equipment since 1993 and our products are sold world-wide, but from this office we supply the UK and Ireland. Our solutions can work extremely well and we supply many sectors including health and safety, schools, universities, hospitals and other sectors. Two way radios are also an area where we have spent considerable time in developing solutions that can change voice communications to text, or to ensure that emergency calls are made in a lockdown situation with our custom interfaces. These products along with new digital radios that can also communicate in completely silent text messages help to ensure that any person causing the threat cannot hear the communications. To check out our current equipment suitable for communication in lockdown situations please examine our products here or call us on 01782-537000 and we can help.